An RYA Accredited Course comprised of 4 days, Monday-Thursday, for adults wanting to learn to sail in dinghies. The RYA Level 1 training course is ideally suited to complete beginners or those that have only sailed a little. It enables you to progress quickly from beginner to confident sailor in a controlled, safe and enjoyable environment. The aims of the course are to provide a sound introduction to the sport of sailing. You will learn boat handling skills and essential background knowledge. You will be safety conscious, have a basic knowledge of sailing and be capable of sailing without an instructor on board in light-medium strength winds. Membership Offer available for Non Members - the cost of the course includes temporary membership whilst practising your skills and going out sailing for the duration of the course. We will also waive the £50 Joining Fee if you decide to join the club within a month of the end of the course. See here for full membership benefits. Course Duration: 4 days, Monday-Thursday. 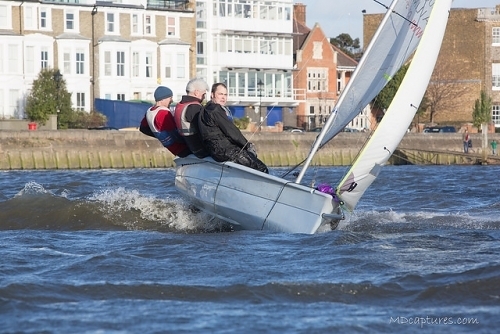 Course Headline: The aims of the course are to provide a sound introduction to the sport of sailing. You will learn boat handling skills and essential background knowledge. You will be safety conscious, have a basic knowledge of sailing and be capable of sailing without an instructor on board in light-medium strength winds. Course Description: The course will concentrate on teaching students how to sail in all directions, including an awareness of launching and recovering. Capsize recovery and essential safety knowledge. What's Included: Tuition from Senior and Dinghy instructors, Dinghy Hire (RS Visions). Course handbook and Sailing logbook. Completion certificates (if attained). Next Steps: Riverbanking and Wacky Racing. Further improvement courses and skill modules. Racing at LCSC. Ability after the course: You will be safety conscious, have a basic knowledge of sailing and be capable of sailing without an instructor on board in light-medium strength winds, in all directions.